red is one of those colours that always strikes me. 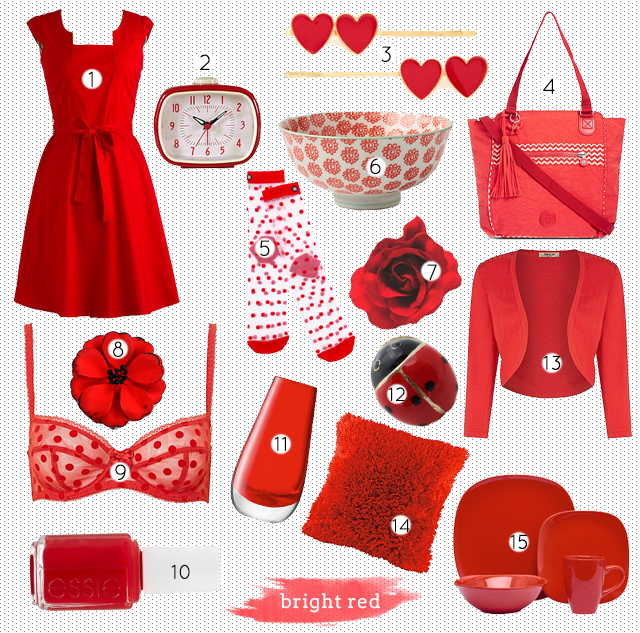 stating the obvious here, but it’s a very ..well, striking colour, especially a bright red like these items. in terms of clothing it’s not a colour i could wear a large amount of (saying this, i do have a rather bold red winter coat), but i do generally prefer it in accents, like a hair accesory, a brooch or some socks. gotta love a strong red lip, too! looking around my room, i do have a few bright red items dotted around too. a fake red poppy (poppies are my favourite flower), some pom-poms, and a dish holding some rings. do you like bright reds, or do you prefer a more understated burgundy or something bordering on pink?